Østnes Hanssen, Kine; Schuler, Bruno; Williams, Antony J.; Demissie, Taye B.; Hansen, Espen; Andersen, Jeanette hammer; Svenson, Johan; Blinov, Kirill; Repisky, Michal; Mohn, Fabian; Meyer, Gerhard; Svendsen, John Sigurd; Ruud, Kenneth; Elyashberg, Mikhail; Gross, Leo; Jaspars, Marcel; Isaksson, Johan. A Combined Atomic Force Microscopy and Computational Approach for the Structural Elucidation of Breitfussin A and B: Highly Modified Halogenated Dipeptides from Thuiaria breitfussi. Angewandte Chemie International Edition 2012; Volum 51 (49). ISSN 1433-7851.s 12238 - 12241.s doi: 10.1002/anie.201203960. Olsen, Elisabeth; Hansen, Espen; Isaksson, Johan; Andersen, Jeanette hammer. Antioxidant effect of four bromophenols from the red algae Vertebrata lanosa. Planta Medica 2012; Volum 78 (11). ISSN 0032-0943.s 1146 - 1146. Michael, Priyanka; Hansen, Espen; Isaksson, Johan; Andersen, Jeanette hammer; Hansen, Kine. Dendrobeaniamine A, a new alkaloid from the Arctic marine bryozoan Dendrobeania murrayana. Natural Product Research 2019. ISSN 1478-6419.s doi: 10.1080/14786419.2019.1574788. Brennecke, Philip; Rasina, Dace; Aubi Catevilla, Oscar; Herzog, Katja; Landskron, Johannes; Cautain, Bastien; Vicente, Francisca; Quintana, Jordi; Mestres, Jordi; Stechmann, Bahne; Ellinger, Bernhard; Brea, Jose; Kolanowski, Jacek L.; Pilarski, Radosław; Orzáez, Mar; Pineda-Lucena, Antonio; Laraia, Luca; Nami, Faranak; Zielenkiewicz, Piotr; Paruch, Kamil; Hansen, Espen; von Kries, Jens P.; Neuenschwander, Martin; Specker, Edgar; Bartunek, Petr; Šímová, Šárka; Leśnikowski, Zbigniew; Krauss, Stefan; Lehtiö, Lari; Bilitewski, Ursula; Brönstrup, Mark; Tasken, Kjetil; Jirgensons, Aigars; Lickert, Heiko; Clausen, Mads H.; Andersen, Jeanette hammer; Vicent, Maria J.; Genilloud, Olga; Martinez, Aurora; Nazaré, Marc; Fecke, Wolfgang; Gribbon, Philip. EU-OPENSCREEN: A novel collaborative approach to facilitate chemical biology. SLAS Discovery 2019; Volum 24 (3). ISSN 2472-5552.s 398 - 413.s doi: 10.1177/2472555218816276. Labriere, Christophe; Andersen, Jeanette hammer; Albrigtsen, Marte; Hansen, Jørn H; Svenson, Johan. Heterocyclic cellular lipid peroxidation inhibitors inspired by the marine antioxidant barettin. Bioorganic chemistry (Print) 2018; Volum 84. ISSN 0045-2068.s 106 - 114.s doi: 10.1016/j.bioorg.2018.11.024. Sarno, Federica; Papulino, Chiara; Franci, Gianluigi; Andersen, Jeanette hammer; Cautain, Bastien; Melardo, Colombina; Altucci, Lucia; Nebbioso, Angela. 3-Chloro-N′-(2-hydroxybenzylidene) benzohydrazide: An LSD1-Selective Inhibitor and Iron-Chelating Agent for Anticancer Therapy. Frontiers in Pharmacology 2018; Volum 9. ISSN 1663-9812.s 1 - 10.s doi: 10.3389/fphar.2018.01006. Østnes Hanssen, Kine; Isaksson, Johan; Glomsaker, Eirin; Andersen, Jeanette hammer; Hansen, Espen. Ponasterone A and F, Ecdysteroids from the Arctic Bryozoan Alcyonidium gelatinosum. Molecules 2018; Volum 23 (6). ISSN 1420-3049.s doi: 10.3390/molecules23061481. Kristoffersen, Venke; Rämä, Teppo; Isaksson, Johan; Andersen, Jeanette hammer; Gerwick, William H.; Hansen, Espen. Characterization of Rhamnolipids Produced by an Arctic Marine Bacterium from the Pseudomonas ﬂuorescence Group. Marine Drugs 2018; Volum 16 (5). ISSN 1660-3397.s 1 - 19.s doi: 10.3390/md16050163. Ingebrigtsen, Richard Andre; Hansen, Espen; Andersen, Jeanette hammer; Eilertsen, Hans Christian. Field sampling marine plankton for biodiscovery. Scientific Reports 2017; Volum 7 (1). ISSN 2045-2322.s doi: 10.1038/s41598-017-15980-8. Bakka, Thomas Aleksander; Strøm, Morten B.; Andersen, Jeanette hammer; Gautun, Odd Reidar. Methyl propiolate and 3-butynone: starting points for synthesis of amphiphilic 1,2,3-triazole peptidomimetics for antimicrobial evaluation. Bioorganic & Medicinal Chemistry 2017; Volum 25 (20). ISSN 0968-0896.s 5380 - 5395.s doi: 10.1016/j.bmc.2017.07.060. Michael Siranjeevi, Raja Priyanka Mary; Hanssen, Kine Østnes; Isaksson, Johan; Andersen, Jeanette hammer; Hansen, Espen. A Novel Brominated Alkaloid Securidine A, Isolated from the Marine Bryozoan Securiflustra securifrons. Molecules 2017; Volum 22 (7). ISSN 1420-3049.s doi: 10.3390/molecules22071236. Chervin, Justine; Stierhof, Marc; Tong, Ming Him; Peace, Doe; Hanssen, Kine Østnes; Urgast, Dagmar S.; Andersen, Jeanette hammer; Yu, Yi; Ebel, Rainer; Kyeremeh, Kwaku; Paget, Veronica; Cimpan, Gabriela; Van Wyk, Albert; Deng, Hai; Jaspars, Marcel; Tabudravu, Jioji N.. Targeted Dereplication of Microbial Natural Products by High-Resolution MS and Predicted LC Retention Time. Journal of natural products 2017; Volum 80 (5). ISSN 0163-3864.s 1370 - 1377.s doi: 10.1021/acs.jnatprod.6b01035. Sonnenschein, Eva; Stierhof, Marc; Goralczyk, Stephan; Vabre, Floriane M.; Pellissier, Leonie; Hanssen, Kine Østnes; de la Cruz, Mercedes; Diaz, Caridad; De Witte, Peter; Copmans, Daniëlle; Andersen, Jeanette hammer; Hansen, Espen; Kristoffersen, Venke; Tormo, Jose R.; Ebel, Rainer; Milne, Bruce F.; Deng, Hai; Gram, Lone; Jaspars, Marcel; Tabudravu, Jioji N.. Pseudochelin A, a siderophore of Pseudoalteromonas piscicida S2040. Tetrahedron 2017; Volum 73 (18). ISSN 0040-4020.s 2633 - 2637.s doi: 10.1016/j.tet.2017.03.051. Bakka, Thomas Aleksander; Strøm, Morten B.; Andersen, Jeanette hammer; Gautun, Odd Reidar. Synthesis and antimicrobial evaluation of cationic low molecular weight amphipathic 1,2,3-triazoles. Bioorganic & Medicinal Chemistry Letters 2017; Volum 27 (5). ISSN 0960-894X.s 1119 - 1123.s doi: 10.1016/j.bmcl.2017.01.092. Thakkar, Balmukund; Albrigtsen, Marte; Svendsen, John Sigurd Mjøen; Andersen, Jeanette hammer; Engh, Richard Alan. Biofocussed chemoprospecting: An efficient approach for drug discovery. (fulltekst) (sammendrag) Chemical Biology and Drug Design 2017; Volum 90 (1). ISSN 1747-0277.s 128 - 140.s doi: 10.1111/cbdd.12934. Hansen, Espen; Andersen, Jeanette hammer. Screening for marine natural products with potential as chemotherapeutics for acute myeloid Leukemia. (sammendrag) Current Pharmaceutical Biotechnology 2016; Volum 17 (1). ISSN 1389-2010.s 71 - 77.s doi: 10.2174/1389201016666150817095537. Moodie, Lindon; Zuzek, Monika; Frangez, Robert; Andersen, Jeanette hammer; Hansen, Espen; Olsen, Elisabeth Klungerbo; Cergolj, Marija; Sepcic, Kristina; Hanssen, Kine Østnes; Svenson, Johan. Synthetic analogs of stryphnusin isolated from the marine sponge Stryphnus fortis inhibit acetylcholinesterase with no effect on muscle function or neuromuscular transmission. Organic and biomolecular chemistry 2016; Volum 14 (47). ISSN 1477-0520.s 11220 - 11229.s doi: 10.1039/c6ob02120d. Lauritano, Chiara; Andersen, Jeanette hammer; Hansen, Espen; Albrigtsen, Marte; Escalera, Laura; Esposito, Francesco; Helland, Kirsti; Østnes Hanssen, Kine; Romano, Giovanna; Ianora, Adrianna. Bioactivity Screening of Microalgae for Antioxidant, Anti-Inflammatory, Anticancer, Anti-Diabetes, and Antibacterial Activities. Frontiers in Marine Science 2016; Volum 3. ISSN 2296-7745.s doi: 10.3389/fmars.2016.00068. Olsen, Elisabeth Klungerbo; Søderholm, Kine; Isaksson, Johan; Andersen, Jeanette hammer; Hansen, Espen. Metabolomic Profiling Reveals the N-Acyl-Taurine Geodiataurine in Extracts from the Marine Sponge Geodia macandrewii (Bowerbank). Journal of natural products 2016; Volum 79 (5). ISSN 0163-3864.s 1285 - 1291.s doi: 10.1021/acs.jnatprod.5b00966. Jaspars, Marcel; de Pascale, Donatella; Andersen, Jeanette hammer; Reyes, Fernando T.; Crawford, Alexander D.; Ianora, Adrianna. The marine biodiscovery pipeline and ocean medicines of tomorrow. Journal of the Marine Biological Association of the United Kingdom 2016; Volum 96 (1). ISSN 0025-3154.s 151 - 158.s doi: 10.1017/S0025315415002106. Olsen, Elisabeth Klungerbo; Hansen, Espen; Moodie, Lindon W.K; Isaksson, Johan; Sepcic, Kristina; Cergolj, Marija; Svenson, Johan; Andersen, Jeanette hammer. Marine AChE inhibitors isolated from Geodia barretti: natural compounds and their synthetic analogs. Organic and biomolecular chemistry 2016; Volum 14 (5). ISSN 1477-0520.s 1629 - 1640.s doi: 10.1039/c5ob02416a. Lind, Karianne Fredenfeldt; Østerud, Bjarne; Hansen, Espen; Jørgensen, Trond Ø.; Andersen, Jeanette hammer. The immunomodulatory effects of barettin and involvement of the kinases CAMK1α and RIPK2. Immunopharmacology and immunotoxicology 2015; Volum 37 (5). ISSN 0892-3973.s 458 - 464.s doi: 10.3109/08923973.2015.1082584. Ingebrigtsen, Richard Andre; Hansen, Espen; Andersen, Jeanette hammer; Eilertsen, Hans Christian. Light and temperature effects on bioactivity in diatoms. Journal of Applied Phycology 2015. ISSN 0921-8971.s doi: 10.1007/s10811-015-0631-4. Tadesse, Margey; Svenson, Johan; Sepcic, Kristina; Trembleau, Laurent; Engqvist, Stig Olov Magnus; Andersen, Jeanette hammer; Jaspars, Marcel; Stensvåg, Klara; Haug, Tor. Isolation and Synthesis of Pulmonarins A and B, Acetylcholinesterase Inhibitors from the Colonial Ascidian Synoicum pulmonaria. Journal of natural products 2014; Volum 77 (2). ISSN 0163-3864.s 364 - 369.s doi: 10.1021/np401002s. Østnes Hanssen, Kine; Cervin, Gunnar; Trepos, Rozenn; Petitbois, Julie; Haug, Tor; Hansen, Espen; Andersen, Jeanette hammer; Pavia, Henrik; Hellio, Claire; Svenson, Johan. The Bromotyrosine Derivative Ianthelline Isolated from the Arctic Marine Sponge Stryphnus fortis Inhibits Marine Micro- and Macrobiofouling. Marine Biotechnology 2014; Volum 16 (6). ISSN 1436-2228.s 684 - 694.s doi: 10.1007/s10126-014-9583-y. Mohamed, Yasser Mahmoud Ali; Vik, Anders; Hofer, Tim; Andersen, Jeanette hammer; Hansen, Trond Vidar. Polyunsaturated fatty acid-derived chromones exhibiting potent antioxidant activity. Chemistry and Physics of Lipids 2013; Volum 170. ISSN 0009-3084.s 41 - 45.s doi: 10.1016/j.chemphyslip.2013.03.003. Olsen, Elisabeth Klungerbo; Hansen, Espen; Isaksson, Johan; Andersen, Jeanette hammer. Cellular Antioxidant Effect of Four Bromophenols from the Red Algae, Vertebrata lanosa. Marine Drugs 2013; Volum 11. ISSN 1660-3397.s 2769 - 2784.s doi: 10.3390/md11082769. Sivertsen, Annfrid; Brandsdal, Bjørn Olav; Svendsen, John Sigurd; Andersen, Jeanette hammer; Svenson, Johan. Short cationic antimicrobial peptides bind to human alpha-1 acid glycoprotein with no implications for the in vitro bioactivity. Journal of Molecular Recognition 2013; Volum 26 (10). ISSN 0952-3499.s 461 - 469.s doi: 10.1002/jmr.2288. Vasskog, Terje; Andersen, Jeanette hammer; Hansen, Espen; Svenson, Johan. Characterization and Cytotoxicity Studies of the Rare 21:4 n-7 Acid and Other Polyunsaturated Fatty Acids from the Marine Opisthobranch Scaphander lignarius, Isolated Using Bioassay Guided Fractionation. Marine Drugs 2012; Volum 10 (12). ISSN 1660-3397.s 2676 - 2690.s doi: 10.3390/md10122676. Østnes Hanssen, Kine; Andersen, Jeanette hammer; Stiberg, Trine; Engh, Richard Alan; Svenson, Johan; Genevière, Anne-Marie; Hansen, Espen. Antitumoral and Mechanistic Studies of Ianthelline Isolated from the Arctic Sponge Stryphnus fortis. Anticancer Research 2012; Volum 32 (10). ISSN 0250-7005.s 4287 - 4297. Tadesse, Margey; Tabudravu, Jioji N.; Jaspars, Marcel; Strøm, Morten B.; Hansen, Espen; Andersen, Jeanette hammer; Kristiansen, Per Eugen; Haug, Tor. The antibacterial ent-Eusynstyelamide B and Eusynstyelamides D, E and F from the Arctic Bryozoan Tegella cf. spitzbergensis. Journal of natural products 2011; Volum 74. ISSN 0163-3864.s 837 - 841.s doi: 10.1021/np100499c. Tadesse, Margey; Svenson, Johan; Jaspars, Marcel; Strøm, Morten B.; Abdelrahman, Mostafa H.; Andersen, Jeanette hammer; Hansen, Espen; Kristiansen, Per Eugen; Stensvåg, Klara; Haug, Tor. Synoxazolidinone C; a bicyclic member of the synoxazolidinone family with antibacterial and anticancer activities. Tetrahedron Letters 2011; Volum 52. ISSN 0040-4039.s 1804 - 1806.s doi: 10.1016/j.tetlet.2011.02.027. Tadesse, Margey; Tørfoss, Veronika; Strøm, Morten B.; Hansen, Espen; Andersen, Jeanette hammer; Stensvåg, Klara; Haug, Tor. Isolation and biological activity of (E)-1-(4-hydroxystyryl)guanidine from the sub-Arctic ascidian, Dendrodoa aggregata. Biochemical Systematics and Ecology 2010; Volum 38 (4). ISSN 0305-1978.s 827 - 829.s doi: 10.1016/j.bse.2010.04.002. Tadesse, Margey; Strøm, Morten B.; Svenson, Johan; Jaspars, Marcel; Milne, Bruce F.; Tørfoss, Veronika; Andersen, Jeanette hammer; Hansen, Espen; Stensvåg, Klara; Haug, Tor. Synoxazolidinones A and B; novel bioactive alkaloids from the ascidian Synoicum pulmonaria. Organic Letters 2010; Volum 12 (21). ISSN 1523-7060.s 4752 - 4755.s doi: 10.1021/ol101707u. Jenssen, Håvard; Andersen, Jeanette Hammer; Uhlin-Hansen, Lars; Gutteberg, Tore Jarl; Rekdal, Øystein. Anti-HSV activity of lactoferricin analogues is only partly related to their affinity for heparan sulfate. Antiviral Research 2004; Volum 61. ISSN 0166-3542.s 101 - 109. Andersen, Jeanette Hammer; Jenssen, Håvard; Sandvik, K; Gutteberg, Tore Jarl. The anti-HSV activity of lactoferrin and lactoferricin is dependent on the presence of heparan sulphate at the cell surface. Journal of Medical Virology 2004; Volum 74. ISSN 0146-6615.s 262 - 271. Pettersen, Ingvild; Andersen, Jeanette Hammer; Bjørnland, Kristin; Mathisen, Øystein; Bremnes, Roy Martin; Wellmann, Maria; Visvikis, Athanase; Huseby, Nils-Erik. Heterogeneity in gamma-glutamyltransferase mRNA expression and glycan structures. Search for tumor-specific variants in human liver metastases and colon carcinoma cells. Biochimica et Biophysica Acta - Proteins and Proteomics 2003; Volum 1648 (1-2). ISSN 1570-9639.s 210 - 218. Jenssen, Marte; Rämä, Teppo; Hanssen, Kine Ø.; Kristoffersen, Venke; Hansen, Espen; Andersen, Jeanette hammer. Exploring the chemical and biological potential of Arctic marine fungi. BIOPROSP_19 2019-02-25 - 2019-02-27 2019. Michael, Priyanka; Hansen, Espen; Isaksson, Johan; Andersen, Jeanette hammer; Hanssen, Kine Ø.. Dendrobeaniamine A, a New Alkaloid from the Arctic Marine bryozoan Dendrobeania murrayana. BIOPROSP_19 2019-02-25 - 2019-02-27 2019. Hanssen, Kine Ø.; Andersen, Jeanette hammer; Klebl, Bert; Eickhoff, Jan; Isaksson, Johan; Hansen, Espen. Novel kinase inhibitors from the Arctic marine hydrozoan Thuiaria breitfussi. BIOPROSP_19 2019-02-25 - 2019-02-27 2019. Valderhaug, Solveig; Lindberg, Daniel; Bakka, Thomas A; Strøm, Morten B.; Andersen, Jeanette hammer; Gautun, Odd Reidar. Synthesis and antimicrobial evaluation of fused benzene amphiphiles. Organisk kjemisk vintermøte OKV33 2018-01-11 - 2018-01-14 2018. Bakka, Thomas Aleksander; Gautun, Odd Reidar; Strøm, Morten B.; Andersen, Jeanette hammer. Synthesis and antimicrobial evaluation of small amphipathic natural product mimics. Organisk kjemisk vintermøte 2017-01-12 - 2017-01-15 2017. Bragmo, Hanne; Andersen, Jeanette hammer; Hansen, Espen; Rämä, Teppo. Exploring the antibacterial and anticancer potential of five marine fungi. BIOPROSP_17 - The 8th International Conference on Marine Biotechnology 2017-03-08 - 2017-03-10 2017. Rämä, Teppo; Kristoffersen, Venke; Andersen, Jeanette hammer; Hansen, Espen. Effect of co-culturing on the antibiotic activity of marine fungi. BIOPROSP_17 - The 8th International Conference on Marine Biotechnology 2017-03-08 - 2017-03-10 2017. Bakka, Thomas Aleksander; Gautun, Odd Reidar; Strøm, Morten B.; Andersen, Jeanette hammer. Synthesis of Amphipathic 1,2,3-Triazoles and Screening for Antimicrobial, Antibiofilm and Anti-oxidative Activities. 35th National medicinal chemistry symposium 2016-06-26 - 2016-06-29 2016. Olsen, Elisabeth Klungerbo; Hansen, Espen; Moodie, Lindon W.K; Isaksson, Johan; Sepcic, Kristina; Cergolj, Marija; Svenson, Johan; Andersen, Jeanette hammer. ChemInform Abstract: Marine AChE Inhibitors Isolated from Geodia barretti: Natural Compounds and Their Synthetic Analogues. ChemInform 2016; Volum 47 (24). ISSN 0931-7597.s doi: 10.1002/chin.201624208. Andersen, Jeanette hammer; Eraker, Harald; Kasnes, Ellen Benedicte; Kumano-Ensby, Anne Linn. Fabrikkene skaper resistente bakterier. (fulltekst) 2016. Mæhre, Hanne K; Elvevoll, Edel Oddny; Eilertsen, Karl-Erik; Andersen, Jeanette hammer. Seaweed proteins - how to get to them? Effects of processing on nutritional value, bioaccessibility and extractability. 2016 ISBN 978-82-8266-111-9. Olsen, Elisabeth Klungerbo; Søderholm, Kine; Isaksson, Johan; Andersen, Jeanette hammer; Hansen, Espen. Metabolomic Profiling of Two Related Marine Sponges From the Coast of Norway Reveals a New N-acyl Taurine. Gordon Research Conference on Marine Natural Products 2016-03-06 - 2016-03-11 2016. Bresnahan, Samantha; Andersen, Jeanette hammer. Arctic waters could hold secret to creating life-saving drugs. (data) 2015. Lind, Karianne Fredenfeldt; Andersen, Jeanette hammer; Jørgensen, Trond Ø.; Østerud, Bjarne. Bioactivity profile of barettin - With special focus on anti-inflammatory, antioxidant and anticoagulant activities. (data) 2015. Rapp, Ole Magnus; Eilertsen, Hans Christian; Hansen, Espen; Andersen, Jeanette hammer; Kristoffersen, Venke. Dette kan hindre hjertesykdom. (fulltekst) 2013. Hanssen, Kine Ø.; Schuler, Bruno; Williams, Antony J.; Demissie, Taye B.; Hansen, Espen; Andersen, Jeanette hammer; Svenson, Johan; Svendsen, John Sigurd; Gross, Leo; Jaspars, Marcel; Isaksson, Johan. Introducing Atomic Force Microscopy in Structure Elucidation. SMASH 2013 2013-09-22 - 2013-09-25 2013. Olsen, Elisabeth Klungerbo; Hansen, Espen; Isaksson, Johan; Andersen, Jeanette hammer. Antioxidant effect of four bromophenols from the red algae Vertebrata lanosa. International Congress on Natural Products Research 2012-07-28 - 2012-08-01 2012. Tadesse, Margey; Strøm, Morten B.; Svenson, Johan; Jaspars, Marcel; Milne, Bruce F.; Tabudravu, Jioji N.; Tørfoss, Veronika; Hansen, Espen; Andersen, Jeanette hammer; Abdelrahman, Mostafa H.; Kristiansen, Per Eugen; Stensvåg, Klara; Haug, Tor. Antimicrobial compounds from cold-water marine organisms. 2011 Norwegian Biochemical Society Contact Meeting 2011-02-03 - 2011-02-05 2011. Tadesse, Margey; Strøm, Morten B.; Svenson, Johan; Jaspars, Marcel; Milne, Bruce F.; Tørfoss, Veronika; Andersen, Jeanette hammer; Hansen, Espen; Stensvåg, Klara; Haug, Tor. Synoxazolidinones A and B; novel bioactive alkaloids from the ascidian Synoicum pulmonaria. ChemInform 2011; Volum 42 (5). ISSN 0931-7597.s doi: 10.1002/chin.201105195. Tadesse, Margey; Svenson, Johan; Jaspars, Marcel; Strøm, Morten B.; Abdelrahman, Mostafa H.; Andersen, Jeanette hammer; Hansen, Espen; Kristiansen, Per Eugen; Stensvåg, Klara; Haug, Tor. Synoxazolidinone C; A bicyclic member of the synoxazolidinone family with antibacterial and anticancer activities.. ChemInform 2011; Volum 42 (29). ISSN 0931-7597.s doi: 10.1002/chin.201129197. Hansen, Ida Kristine; Stensvåg, Klara; Andersen, Jeanette hammer; Haug, Tor. Antimikrobielle forbindelser fra de to subarktiske sjøpungene: Synoicum turgens og Synoicum incrustatum. 2011. Tadesse, Margey; Strøm, Morten B.; Svenson, Johan; Jaspars, Marcel; Milne, Bruce F.; Tabudravu, Jioji N.; Tørfoss, Veronika; Hansen, Espen; Andersen, Jeanette hammer; Abdelrahman, Mostafa H.; Kristiansen, Per Eugen; Stensvåg, Klara; Haug, Tor. Antimicrobial compounds from cold-water marine organisms. BIOPROSP 2011 2011-02-23 - 2011-02-25 2011. Tadesse, Margey; Strøm, Morten B.; Svenson, Johan; Jaspars, Marcel; Milne, Bruce F.; Tabudravu, Jioji N.; Tørfoss, Veronika; Hansen, Espen; Andersen, Jeanette hammer; Abdelrahman, Mostafa H.; Kristiansen, Per Eugen; Stensvåg, Klara; Haug, Tor. Antimicrobial compounds from cold-water marine organisms. BIT’s 1st Annual World Congress (WCMB-2011) 2011-04-25 - 2011-04-30 2011. Siiri, Anette O.; Østnes Hanssen, Kine; Stiberg, Trine; Igeland, Bernt; Vasskog, Terje; Svenson, Johan; Andersen, Jeanette hammer; Hansen, Espen. Isolation and characterization of Ianthelline from an arctic sponge. Bioprosp 2011 2011-02-23 - 2011-02-25 2011. Perander, maria; Stiberg, Trine; Myhren, Lene Elisabeth; Hansen, Espen; Seternes, ole morten; Herfindal, Lars; Andersen, Jeanette hammer; Jørgensen, Trond Ø.. Characterization of cytotoxic activities in extracts from two marine invertebrates. Bioprosp 2011 2011-02-23 - 2011-02-25 2011. Hansen, Espen; Andersen, Jeanette hammer. Identification and purification of bioactive compounds in complex extracts. Waters Purification Meeting 2011 2010-11-16 - 2010-11-18 2010. Andersen, Jeanette hammer. Marbio – a medium/high-throughput screening platform. Arctic and sub-Arctic biological resources – potential for biotechnology: challenges and innovations 2010-09-06 - 2010-09-09 2010. Tadesse, Margey; Tørfoss, Veronika; Strøm, Morten B.; Hansen, Espen; Andersen, Jeanette hammer; Stensvåg, Klara; Haug, Tor. 3-hydroxy-tubastrine from the sub-Arctic ascidian, Dendrodoa aggregata. BIOPROSP 2009 2009-02-24 - 2009-02-26 2009. Hofer, Tim; Eriksen, TE; Jensen, Ida-Johanne; Elvevoll, Edel Oddny; Jørgensen, Trond Ø.; Andersen, Jeanette hammer; Olsen, Ragnar Ludvig. Screening for antioxidants in Arctic marine organisms. Free radical research 2009; Volum 43. ISSN 1071-5762.s 75 - 75. Andersen, Jeanette hammer. The cold rush. 2009. Andersen, Jeanette hammer. MabCent - a Centre for Research-based Innovation of Artic marine bioactivities and drug discovery. BIOPROSP 2009 2009-02-24 - 2009-02-26 2009. Andersen, Jeanette hammer. MabCent - a Centre for Research-based Innovation of Arctic marine bioactivities and drug discovery. BIOPROSP2009 2009-02-24 - 2009-02-26 2009. Stiberg, Trine; Perander, maria; Andersen, Jeanette hammer; Jørgensen, Trond Ø.. Screening for compounds from Artic and sub_Artic marine invertebrates with anti-canser activities. BIOPROSP2009 2009-02-24 - 2009-02-26 2009. Lind, Karianne Fredenfeldt; Helland, Kirsti; Østerud, Bjarne; Eilertsen, Karl-Erik; Andersen, Jeanette hammer; Jørgensen, Trond Ø.. Screening for immunomodulating compounds in Arctic marine organisms. BIOPROSP2009 2009-02-24 - 2009-02-26 2009. Paulsen, steinar; Albrigtsen, Marte; Andersen, Jeanette hammer; Jørgensen, Trond Ø.. Discovery of anti-diabetic agents from marine invertebrates. BIOPROSP2009 2009-02-24 - 2009-02-26 2009. Hjerpeset, Marianne; Andersen, Jeanette hammer; Hansen, Espen. High-resolution mass spectrometry - a valuable tool for dereplicating marine natural products. BIOPROSP2009 2009-02-24 - 2009-02-26 2009. Hofer, Tim; Eriksen, TE; Jensen, Ida-Johanne; Elvevoll, Edel Oddny; Jørgensen, Trond Ø.; Andersen, Jeanette hammer; Olsen, Ragnar Ludvig. Screening for antioxidants in Arctic marine organisms. SFRR Europe 2009-08-26 - 2009-08-29 2009. Hofer, Tim; Eriksen, TE; Jensen, Ida-Johanne; Elvevoll, Edel Oddny; Andersen, Jeanette hammer; Olsen, Ragnar Ludvig. Screening for Compounds with Antioxidant Activities from Arctic and sub-Arctic Marine Organisms. Bioprosp konferensen 2009 2009-02-24 - 2009-02-25 2009. Varmedal, Ingrid; Hansen, Espen; Olsen, Ragnar Ludvig; Jørgensen, Trond Ø.; Andersen, Jeanette hammer. Bioactive metabolites in marine sponges. Bioprosp konferansen 2009 2009-02-24 - 2009-02-25 2009. Hansen, Espen; Andersen, Jeanette hammer; Gabrielsen, kjersti lie; Jørgensen, Trond Ø.. MabCent - a Centre for Research-based Innovation on Arctic Marine Bioactives and Drug Discovery. CMDDS 2008 2008-11-05 - 2008-11-07 2008. 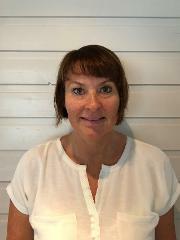 Andersen, Jeanette hammer; Gabrielsen, kjersti lie. Fant kreftkur i havet. 2008. Hofer, Tim; Eriksen, Tonje Engevik; Andersen, Jeanette hammer; Olsen, Ragnar Ludvig. Screening for compounds from Arctic and sub-Arctic marine invertebrates with antioxidant activities. Konferanse 2008-10-31 - 2008-11-04 2008. Stensvåg, Klara; Haug, Tor; Styrvold, Olaf B.; Andersen, Jeanette hammer; Sundsfjord, arnfinn; Sollid, johanna u ericson; Blencke, Hans-Matti. Antibakterial peptides; mechanisms of action and screening methods. MabCent fagdag 2007-11-10 - 2007.